Multi-disciplinary design firm MASH has always pushed the envelope when it comes to creating arresting brand imagery, but its recent collaboration with Brendan Homan takes brand DNA to the next level. In its 15-year history, MASH has invented and reinvigorated countless brands and built a client list that stretches around the world. When you see a new piece of aesthetic ephemera MASH has created – whether it’s in a poster on the street or rendered in pixels on Instagram – you know they did it. However, when MASH revealed its most recent work with Adelaide photographer Brendan Homan for the Australian Interior Design Awards, there was something new that resonated beyond what we’ve come to expect from the award-winning design firm. “It’s the third year we’ve worked with Australian Interior Design Awards,” says creative director of MASH, Dom Roberts. CityMag has heard of design agencies gaming clients by presenting a preferred concept alongside others of lower quality. Dom says he knows some design firms that present a single concept rather than a series, but the co-founder of MASH says both of those approaches don’t work for him. Not only does MASH believe in presenting various ways forward for clients but its concept for the Australian Interior Design Awards involves multiple images that build an overall feeling about the awards, rather than a single brand. “We wanted to create an emotional connection through imagery only, and what we had in mind really worked with the style of photos Brendan is known for,” says Dom. It might seem simple to place a bunch of stone, steel and glass together and take a photo – but we can assure you, this sort of work with this kind of result is only possible after years of practice. 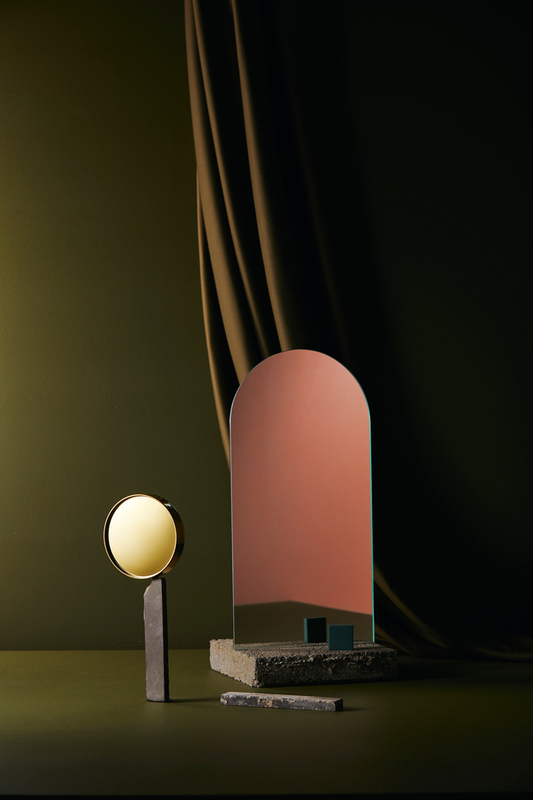 We ask Dom how it was possible to be taking photos of mirrors with reflections and not see the camera or surrounding set. And, without revealing any of Brendan’s secrets, the creative director admits that it was difficult. He says his back still hurts from the exhaustive shoot. The images themselves convey the mind of an interior designer or architect as they begin to consider a project, Dom tells us. 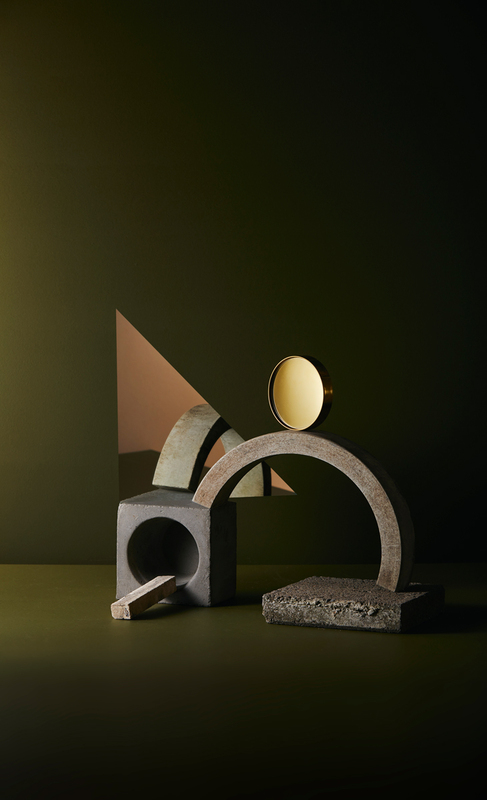 Fragments of texture, material and colour will take shape in a designer’s mind before they take shape in reality – the images Dom and Brendan have created are a snapshot of that process. There’s a big gap between being a designer or curator and being an art director. Working with creatives to produce a vision requires deft communication and, in the case of this particular job for Dom, some back-breaking hours on the studio floor.